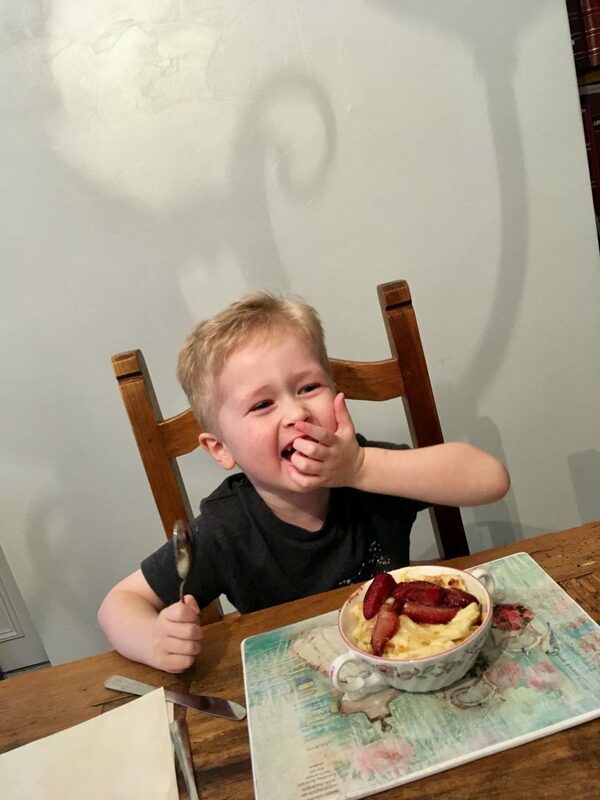 Have you got a fussy eater or just fancy trying something new with the children? Emily Leary AKA A Mummy Too very kindly sent* me her first book that is available to buy from this Thursday. Get Your Kids to Eat Anything helps you embark on a good discovery which will change the way you look at food and bring healthy variety into every meal for years to come. Emily uses a 5 phase approach. 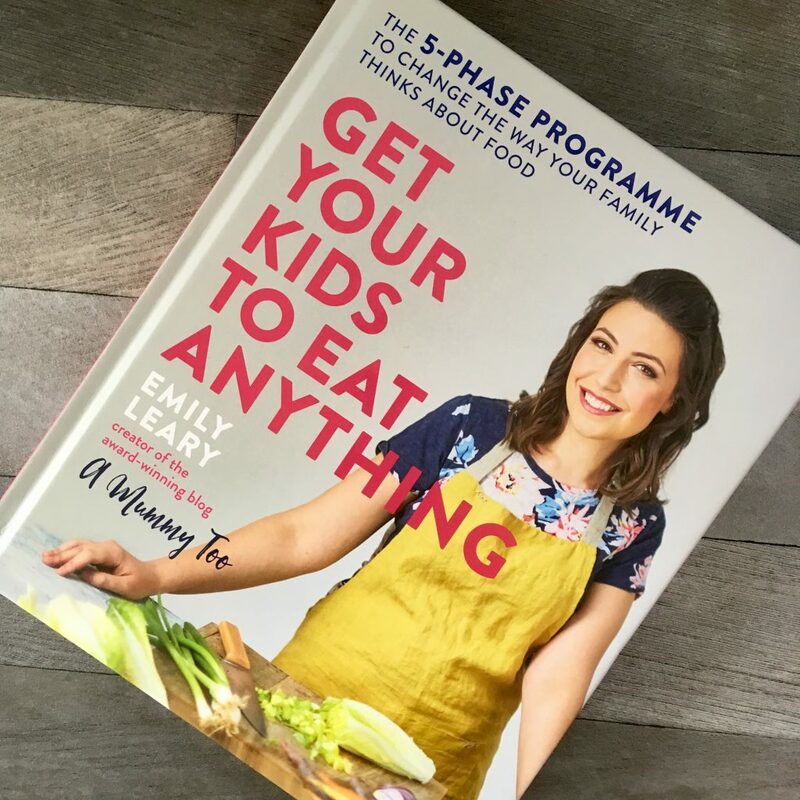 The book is cram packed with incredible recipes from tomato and wild garlic focaccia, curried fish fingers with sweet potato chips, chunky stacked onion and fennel burgers and colourful fruit and veg lollies. Preheat the oven to 200C (400F), 180C fan, Gas Mark 6. 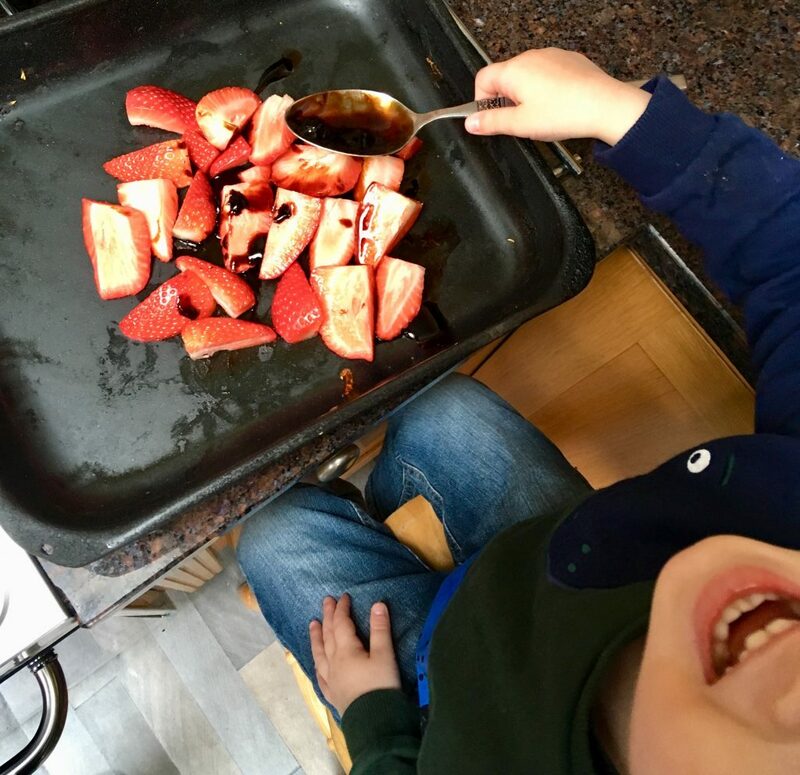 Place the strawberries on a baking tray, season well with pepper, then drizzle with balsamic glaze. Stir, then place in the oven for about 15 minutes until the glaze bubbles. Set aside to cool. Put the butternut squash into a pan of cold water. Bring to the boil and simmer for 10–15 minutes until tender, then drain and set aside to cool. Meanwhile, cook the macaroni according to the packet instructions, then drain. Put the flour, butter and milk into a saucepan and place over a medium heat, whisking regularly for 5–10 minutes until thickened, then season. Tip the squash, Parmesan and white sauce into a food processor and whizz until smooth. Stir the hot, drained pasta into the sauce. 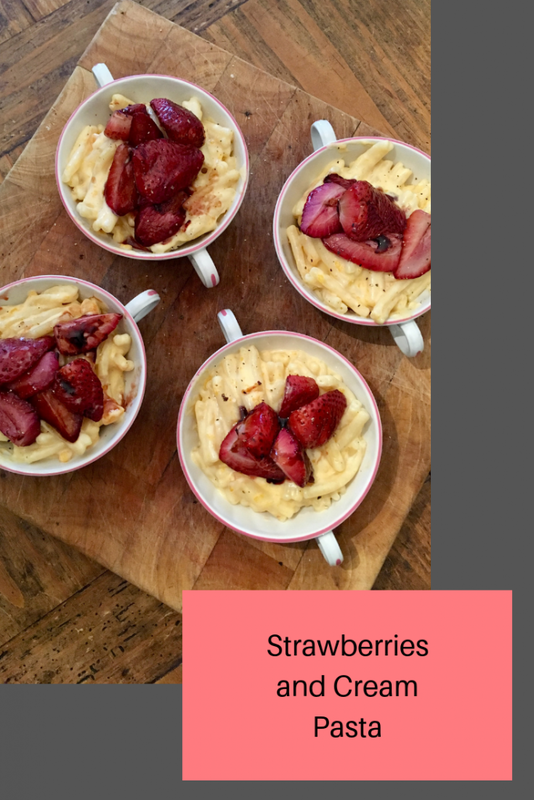 Divide equally between 4 bowls, top with the strawberries and serve. Strawberries and pasta??? I really want to give this a go but I don’t think my cooking skills are up to scratch. I would do something wrong. Wow! This sounds like such a great book! I might be almost 18 and run a food blog, but I doubt I’d be brave enough to try some of those combos! erm … I’m not sure about that!!! And bright red risotto … The kids will probably love it all, but my head tells me it’s wrong! I love this sound of this book. Will look it up. I would never have thought about putting strawberries on pasta, its throwing everything we think about food in the air and its working! Thats all that matters!